The crushing decimation of thunder leveling everything, leaving a wake of silence so loud, it can’t be ignored. A crisp flash of pure electric energy jets down from above delivering a flash so bright the pupil shrinks to a needle’s point. And you haven’t even played a power chord into it. 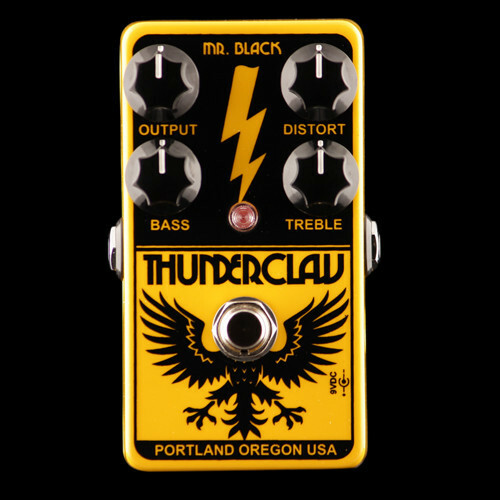 The ThunderClaw is a downright mean, ruthless, high-gain distortion pedal featuring fully active user controls, and their range, dynamic response and sonic qualities are truly unmatched by any other pedal. Hell, only a few amps can pull this off. You are about to write a lot of new riffs.